1 September is Spring Day in South Africa and it’s celebrated in many ways across the country. Stores decorate their shop fronts with flowers. Men, women and children use brightly coloured attire and the presence of flowers just seems abundant on this bright and colourful day. With the start of spring, you can notice the trees are budding, the temperatures are rising, the animals are coming out of their winter hideaways, and all over South Africa, people are taking out their ‘braai tongs’ and preparing for a new season of crisp air, warm sun, outdoor living, swimming, and… FUN! Spring also symbolises a time for exciting new beginnings for many people. For a lot of people Spring Day symbolises getting rid of clutter and a motto of “Out with the old and in with the new”. The atmosphere on Spring Day is vibrant and this is also the period when people start looking forward to the summer holidays. In fact this is when they start planning and preparing for it so for the travel industry, this is an exciting and busy bustling time for them being able to make people’s travel dreams come true. 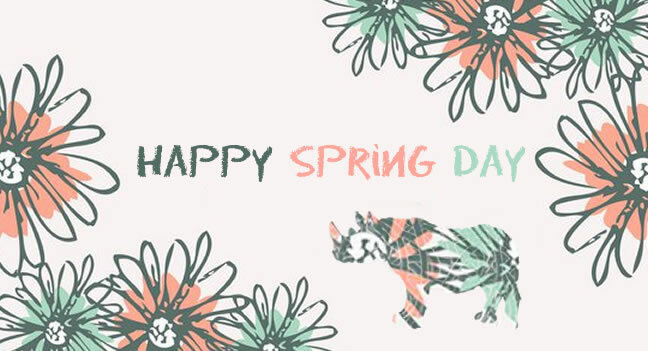 So here is wishing everyone a very Happy Spring!